Remco de Fouw lives and works in the Blackstairs mountains near Borris. 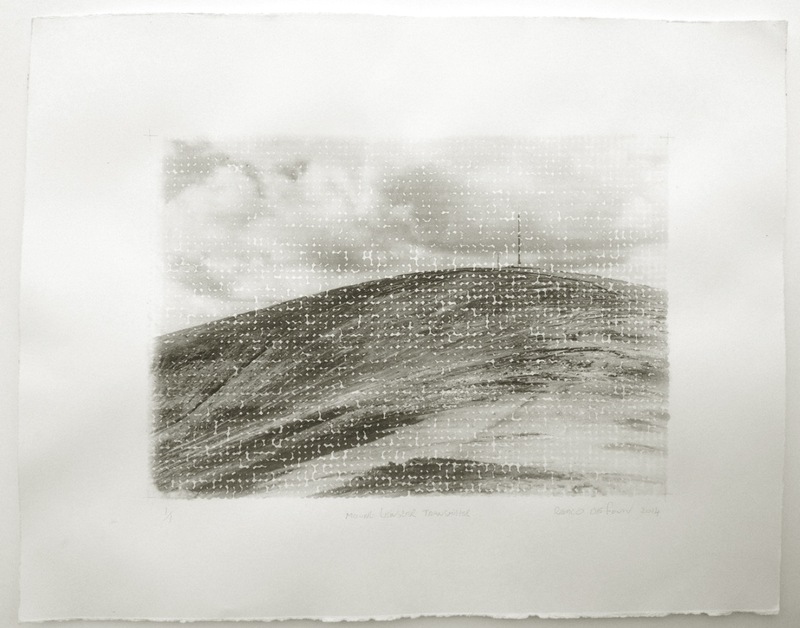 He has exhibited widely, including solo exhibitions at Temple Bar Galleries, the Project Arts center, the Model Arts Center and Limerick City Gallery. He has many public and private commissions to his name both in Ireland and abroad. 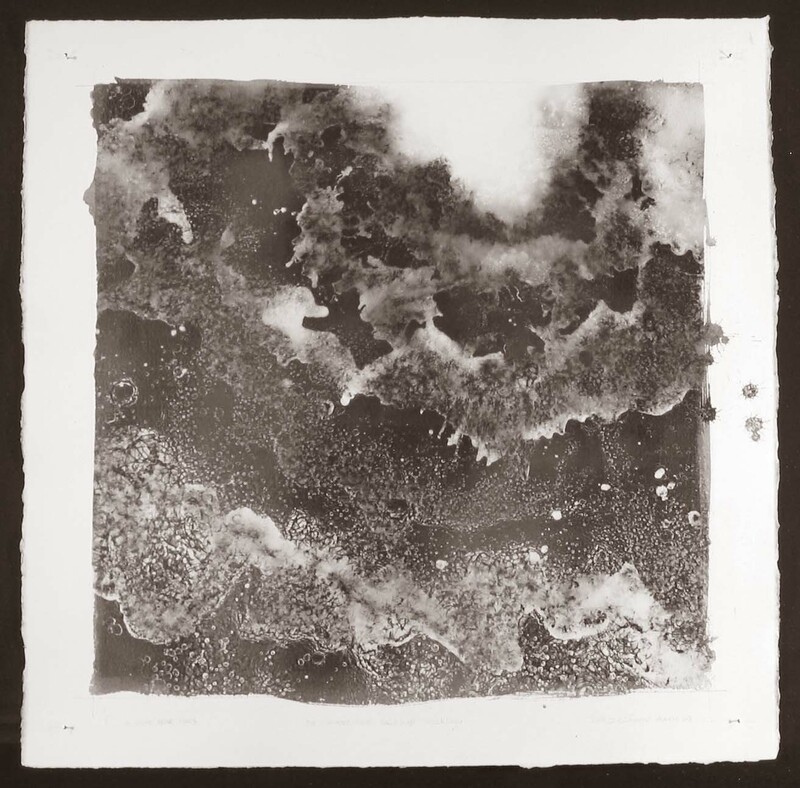 Some of his recent ‘unique’ prints have been made without a camera by exposing home made photographic paper in the river at Borris house. As a full time professional artist, Public commissions make up the main body of his work. Among these are ‘Quintessometry’ at Waterford Regional Hospital. ’First Conundrum’ at Festival square, Edinburgh International Conference Center. ’Gods Navel’ at Charlotte plc Southampton. ‘Silent Witness’ at Meath county buildings, Ash Bourne. ’ Eye witness’ at the N26 Ballina and ‘A fracture of time’, Castleblayney bombing Memorial Co Monaghan. He has had six solo exhibitions to date, at The Project Arts center, 1994; The Limerick City Gallery, 1994; Temple Bar galleries 1997; The Model Arts center Sligo 1998; The Kevin Kavanagh Gallery 2002; The Atlantic Gallery Clifden 2003. He exhibits regularly with the R.H.A annual show and with various shows around the country; Most recently with Perspective 03 at the Ormeau Baths Gallery Belfast; Eigse Carlow; ‘Forty shades of Green’, at The Glucksman Gallery Cork and Common Ground at Grennan Mill for Kilkenny Arts Week. He has received Various Awards including The Alexandra Weijchert Sculpture Award 1998 and a number of Arts Council Bursaries. He is currently building new house and studios with his partner, and their two children in The Blackstairs Mountains in County Carlow. He has recently taken a position as part time lecturer in sculpture and photography in the Honors degree fine art course in IT Carlow.